The University of California was honored Tuesday as one of the world’s most innovative institutions. 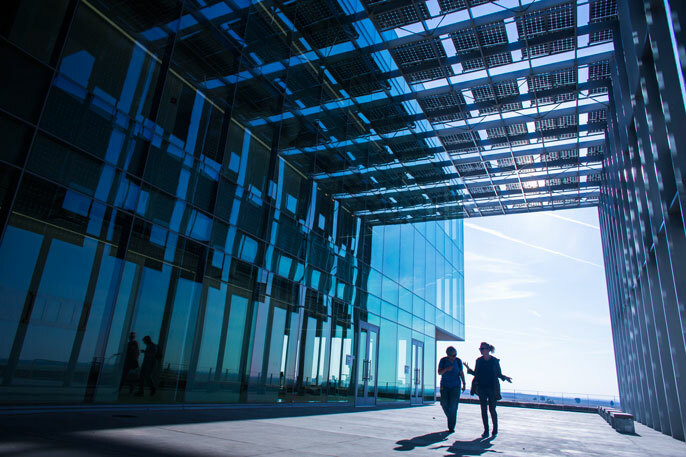 In the company of multinational titans ranging from Apple to Boeing, UC was the only university honored as a 2016 Top 100 Global Innovator by Clarivate Analytics, a data and analysis company that spun off from Thomson Reuters. It arrived at its list by assessing the volume of patents and their quality, market reach and influence on other discoveries. UC made the list for the first time since its inception in 2011. In its report, Clarivate said UC had been particularly successful in recent years in seeing its inventions earn patents and in extending its collaborations and reach globally. “The University of California is the world’s leading public research university system. As a newly recognized Top 100 Global Innovator with more than 3,000 patented inventions [from] 2011-2015, this is testament to the power of innovation in translating research into developing practical solutions to existing problems,” Clarivate said in its report. The list was developed by analyzing four metrics related to patents: the volume of patents; the success rate of inventions that lead to patents; the volume of patents that are protected in multiple world markets; and how often a patent is cited by other companies and institutions in their own filings. UC stood out in 2016 for the increase in both the reach and success of its discoveries, and was particularly strong in pharmaceuticals, medical technologies and other health advances, followed by measurements, computers and transistors. The report also noted that there has been a steady rise since 1980 among UC researchers involved in fruitful international collaborations. UC spends about $4.3 billion per year on research, a figure that has nearly doubled over the last 15 years, according to its 2016 Accountability Report. Federal funds account for more than half of the total. UC has also ranked No. 1 in the world among universities granted U.S. utility patents since 2013, according to the National Academy of Inventors. With a pace of roughly five new inventions per day, researchers and entrepreneurs at UC have launched hundreds of new companies employing tens of thousands of Californians, contributing more than $20 billion to the state’s economy, according to a UC-commissioned study released in August 2016 by the Bay Area Council Economic Institute. Data in this year’s Top 100 Global Innovators report show the path to innovation is no longer a straight line. Canon, General Electric and Hitachi are investing significantly in medical devices, while Google is developing a self-driving car and Amazon is actively involved in drone technology. Notably, UC conducts groundbreaking research in all of these areas, and more.